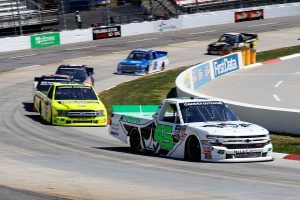 MARTINSVILLE, Va. – Ross Chastain continued his impressive start to the NASCAR Gander Outdoors Truck Series season with Niece Motorsports on Saturday, thanks to a fourth-place run in the TruNorth Global 250. 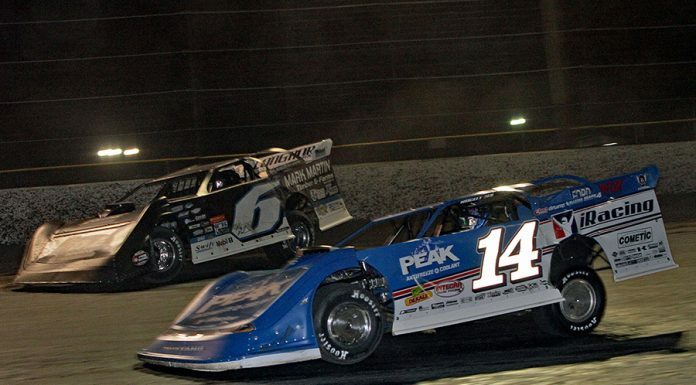 Chastain led 53 laps at Martinsvile Speedway and won the second 70-lap stage before putting on a thrilling back-and-forth duel with Kyle Busch during the closing stanza of the race. However, the Alva, Fla., native couldn’t quite hang with Busch’s Toyota Tundra in the final laps, fading back slightly in his No. 45 TruNorth/Paul Jr. Designs Chevrolet Silverado toward the checkered flag. Despite not being able to close out his day with a Truck Series victory, Chastain still flashed a smile when asked about his mid-race battle with Busch, when the duo exchanged the top spot thrice between one another before Busch took command for good with 66 to go. “It was awesome to race with Kyle,” Chastain said. “We have some work to do to get there. He took me to school there with that second stage finish. I imagine he let us go and burn our stuff up a little bit. I burned my front tires off, but that was big deal to get the stage win and get some track position and clean air. 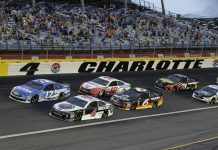 Chastain is the only driver this season to compete in every NASCAR national series race and the only driver in the Truck Series to record a top 10 in each of the four events held so far. Besides just a strong finish, Chastain recorded several milestones on Saturday afternoon. 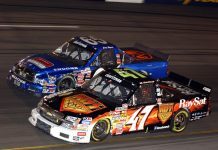 The stage win was both his first in the Truck Series, as well as Niece’s as an organization, and Chastain also led the second-most laps in the race behind Busch, spending 53 circuits out in front of the field. 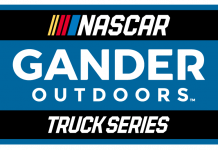 Prior to Saturday, Al Niece-owned trucks had only led three laps in total in Truck Series competition. 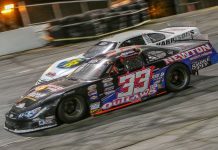 The uptick in speed is something that Chastain hoped to bring to the team when he came onboard in the latter stages of the 2018 season, but even he didn’t expect a jump like Saturday’s this fast. “Not this quick,” noted Chastain. 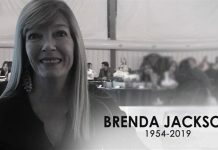 “I thought we would get there, but we definitely had some work to do after last season. 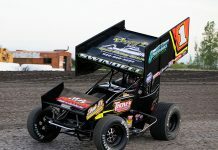 With Phil Gould coming in and the work Cody Efaw has done, the program has definitely risen to the next level. Chastain will return to the seat of the No. 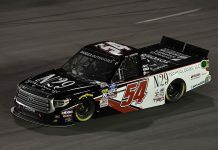 45 Chevrolet at Texas Motor Speedway next weekend, with hopes of dethroning Busch, who has reigned undefeated so far in three Truck Series starts this year. Through four races this year, Chastain has propelled the No. 45 to a top-10 finish in each one, and his runs of third, sixth, 10th and fourth have put the team second in owner points leaving Martinsville. 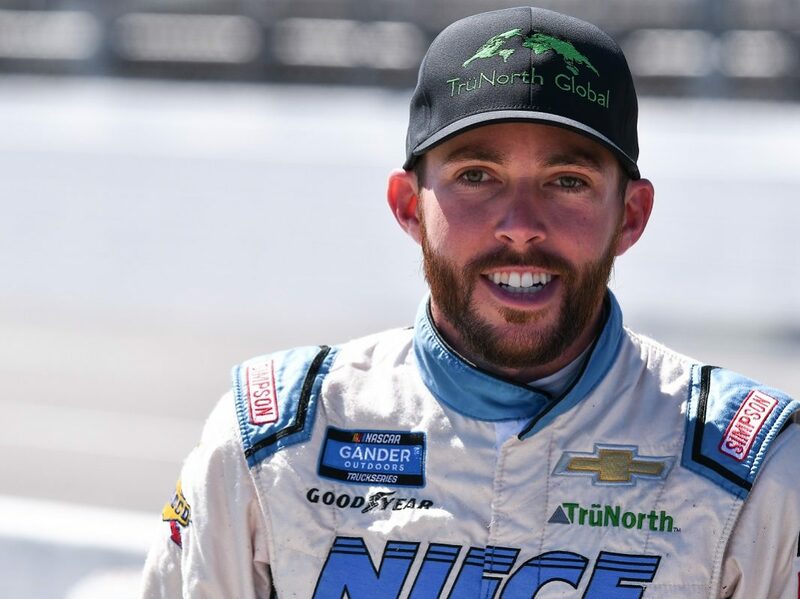 Had Chastain declared for Truck Series points, instead of Xfinity Series points, he’d be leading the driver standings at this juncture – a point he just smiled dejectedly and shook his head at when reminded of it.